Update: Insurance has approved another in-center sleep study and I'm booked for next Wednesday night. This is moving more quickly than before. Tips for the next study? I know I'd like to (1) actually sleep and (2) try out a few different masks. 1. Make sure the tech knows why your back having a 3rd study. 3. 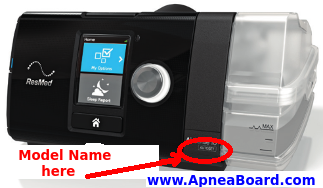 Mention the possible need for bipap. 4. Ask if they have any other masks available to try. Vesimir, if you have DME's in network, try calling them and finding out what 50% will cost you? It might still be cheaper to get a bipap via Amazon instead of through insurance. Don't let them give you crap about having to have a doctor's script before they can talk to you. They know what the insurance contract is. Quick update: Had my second sleep study last night. It felt just like the first one to me and I don't think I got much sleep, though I do think the CPAP made a difference in how I feel. The tech was a bit vague about how things went, but I don't think he ever switched over to bipap since, according to him, my apnea was not severe last night. So maybe that's good news after all... who knows. I'm now waiting for the test results (won't have them until next week), but I'm guessing the doctor ends up prescribing an auto CPAP. If so, obviously I'll make sure I end up with a data capable device. Thanks again for all the great advice. I'll update again when I get results. Looking forward to finally dealing with a DME. 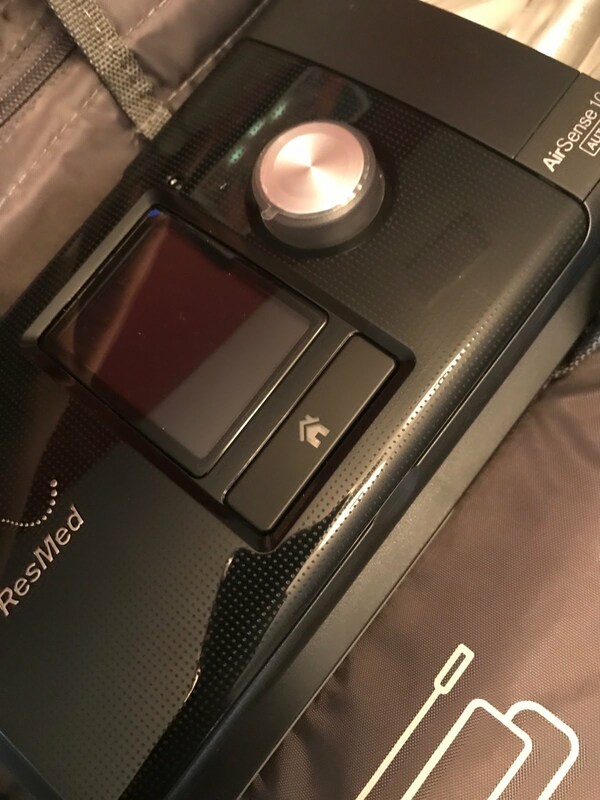 So I figured I'd see if I could find a good deal on an Airsense 10 Autoset since I now think that is what will ultimately be prescribed to me. 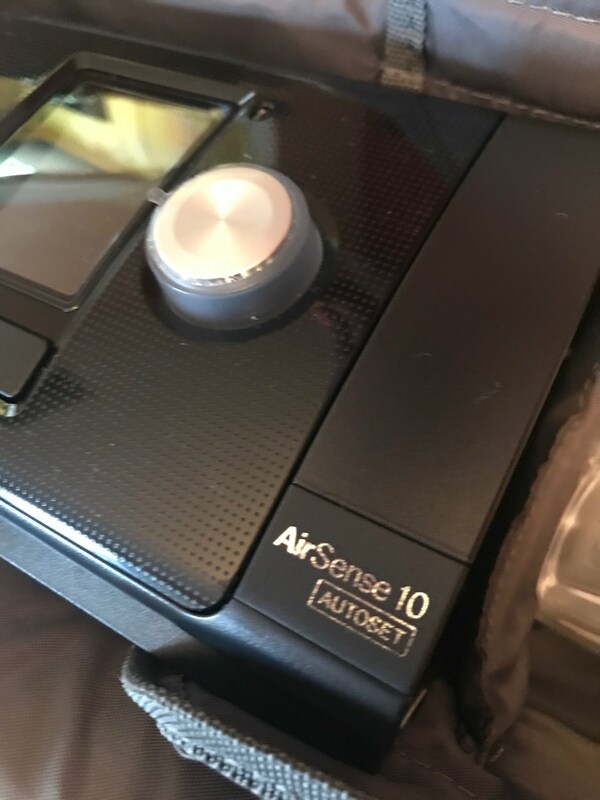 I found someone local selling what they claim is a brand new Airsense 10 Autoset. The price is good, but I can't seem to confirm the model is correct based on the pictures they sent (not sure if that's intentional or not). Can you determine what model this is from these pics? Otherwise, I'll probably just go check it out before buying. Also, ask for the total run hours. Ask for a photo of the machine showing the full name at bottom of machine as shown above. I have a feeling this may not be an autoset. They sent you a picture of the manual, why not the actual machine? Also, try to verify it came from a smoke free environment. Thanks. I've asked for the model name as shown above. Reportedly, the machine was never used. Some definite red flags here given the pictures they provided. If it turns out to be an Autoset, I'll have the opportunity to see it before forking over any money. Good point on the smoke-free environment. Seems legit to me from pictures below. I'll figure out how to confirm it has no/low hours. They're asking for $300, which is better than current Amazon's price of $460. Oops. Sorry about that commercial link. I picked up the Airsense 10 Autoset last night. Machine shows 3 run hours and is in great shape. Seller also included P10 Nasal Pillow w/ headgear, so I may hook it all up and use it for the first time tonight. As for pressure settings, I am thinking about min 8, max 20 based on doctor's recommendation from my first in-center sleep study. Any reason to just set it 4 to 20? (I may be wasting my time w/ the nasal pillow since I suspect I may be a mouth breather).